Pay close attention to the amount of shade that’s available to your dog in the backyard, especially during the hottest time of the day. You might assume because you have a couple of trees that he’ll have plenty of shade, but that might not be the case. If need be, set up a large umbrella somewhere in the yard so your pets will have a chance to get a little protection from the heat. Better yet, keep your pets inside when the sun is blazing. If they want to go out and play, make sure they can come back in as soon as they want, so they can cool off with some fresh water. If you’re out of the home during the day, install a doggie door so your pooch can go outside and do his business and then come back in. If that’s not feasible, you might want to consider dog daycare – anything’s better than leaving your pooch outside to deal with the heat. Every summer, there are tragic stories of children and pets dying because they were locked in an incredibly hot car. It doesn’t matter whether you’re running into a store or taking care of any other type of errand – never, ever leave your child or your dog in a hot car. It only takes a few minutes for a dog to be overcome with heat. 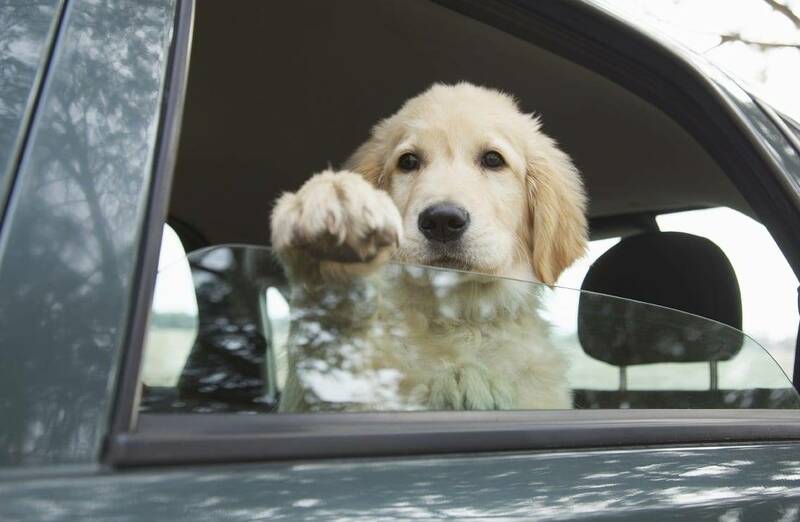 Even if the temperature feels fairly mild outside, the inside of a car can get scorching hot – up to 160 degrees.1 Either bring your dog with you when shopping, or just leave him home. 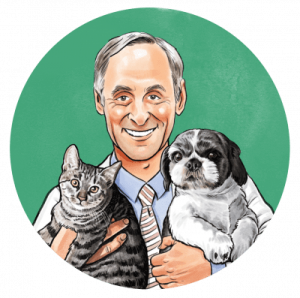 A lot of pets – as well as their owners – like to follow a certain routine. They like to eat at a particular time, and they also like to get their exercise at the same time each day. While you need to make sure your dog gets his exercise, don’t be a slave to routine when the heat is on outside. If you normally walk him at 5 or 6 in the evening, it’s probably going to still be extremely hot. Wait closer to sunset before heading out, or take your dog for his walk around sunrise if you can. You have the option of wearing flip-flops, tennis shoes, or sandals when you’re walking around on hot pavement, but your dog doesn’t. His paws can get extremely painful when exposed to heat, and that can also lead to an increased risk of heatstroke. If you take your dog outside, whether it’s around the neighborhood or on a shopping trip, keep him off the pavement whenever you can. This could mean looking for grass or, if he’s small enough, simply carrying him around with you while you run errands. 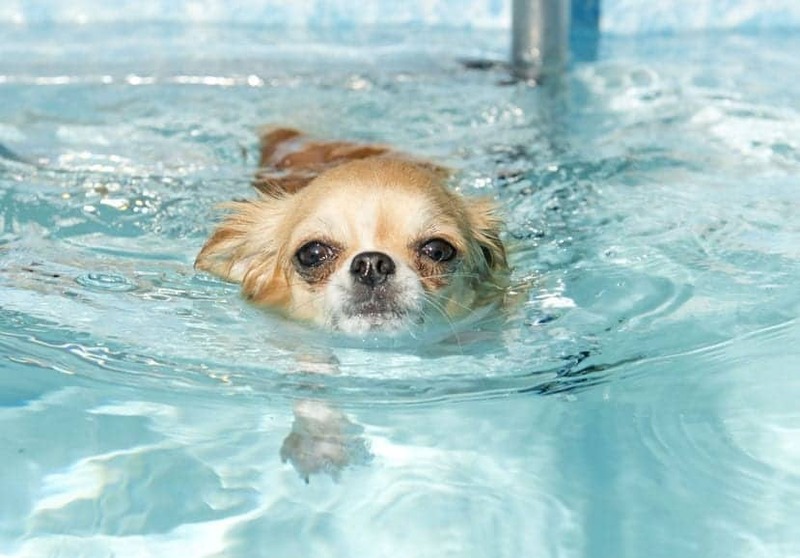 Many people simply assume their dogs can swim, but that might not be the case. If you’re going to the lake, the ocean, or simply to a neighbor’s pool, don’t set him free to play in the water unless you are 100 percent sure he won’t go under. Keep an eye on him at all times. Your dog’s body temperature it should be between 99.5-102.5 degrees. If it gets significantly higher, that will put him at risk for heat stroke.2 This can lead to severe consequences, including brain damage, seizures, and the failure of vital organs that can be fatal. If he’s older, overweight, or has heart disease, the risk will be even higher. 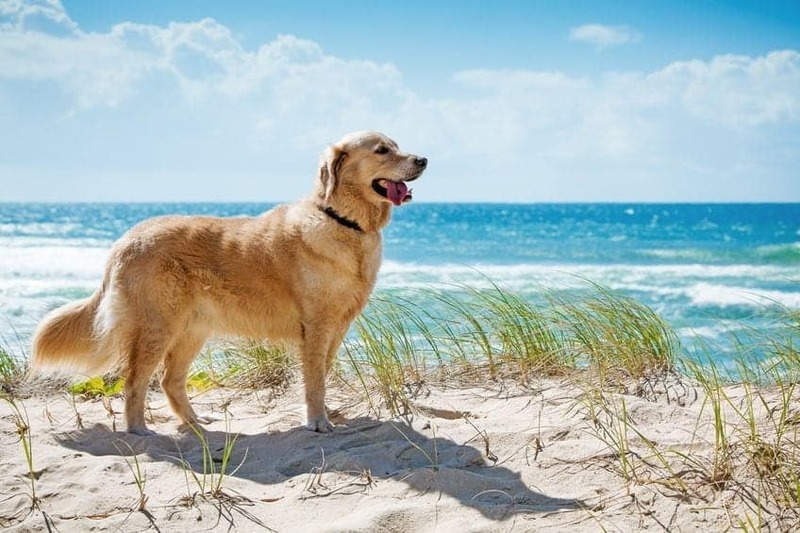 · Try to keep your dog’s fur short during the summer, so that he won’t be as prone to overheating. Just make sure you don’t have him cut too close to the skin, because that will increase the chances he’ll suffer sunburn. Keep at least an inch of hair. 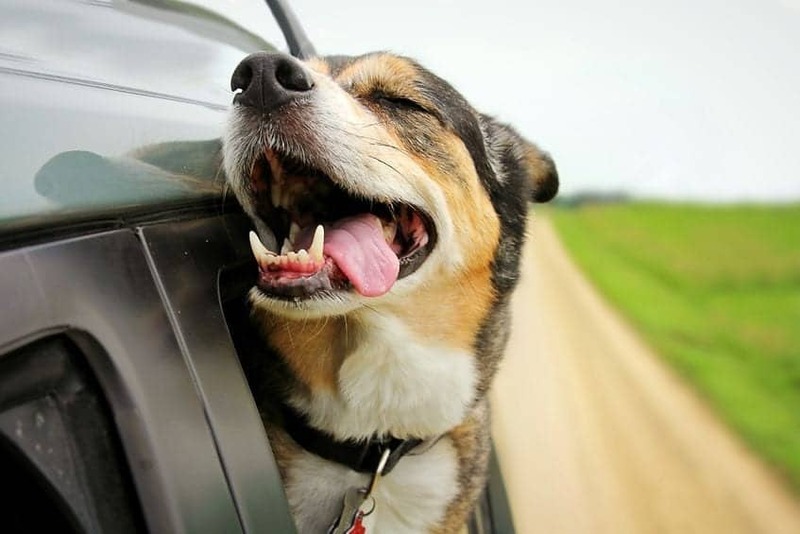 · Keep your dog off of hot surfaces, such as asphalt and cement. This can quickly increase his body temperature to a dangerous level and/or burn his sensitive paw pads. · If you have to take your dog with you on errands, make sure the places you go are pet-friendly. If you leave him in a hot car for even a few minutes, the results could be tragic. There are certain signs that will let you know your pets might be suffering from heat exhaustion or heat stroke. But if you take fast action, you can keep him from suffering permanent damage. Symptoms of heat exhaustion in dogs include vomiting, diarrhea, redness inside the ears, and fast-paced panting. The higher your pet’s temperature, the higher their risk of heat stroke. If your dog pants rapidly, has red or pale gums, has thick saliva or a bright red tongue, fast action is critical. This will also be the case if he becomes dizzy or weak. Get him into a cool area, wet his skin thoroughly, and put a fan on him. Make sure his drinking water is cool but not cold. If it’s too cold, that could cause a potentially dangerous reaction. Have fresh drinking water available but don’t force him to drink it because that could make him choke.  If your dog seems to be getting better, take him to the vet to be on the safe side and rule out potential problems such as dehydration, kidney issues, respiratory problems, and other health issues. The purpose of this article isn’t to scare you into not allowing your pets to enjoy summer fun as much as you do. It’s all about education, and knowing the best way to care for your pets in the summer heat. All you need to do is to take a few simple precautions, and everybody will be safe and happy. 1.“Dogs In Hot Cars And On Hot Pavement”. PETA. N.p., 2017. Web. 13 June 2017. 2.”Fever In Dogs: Causes, Signs, And Treatment”. American Kennel Club. N.p., 2017. Web. 13 June 2017.